Aircare has evolved. Freshness through fragrance and technology. 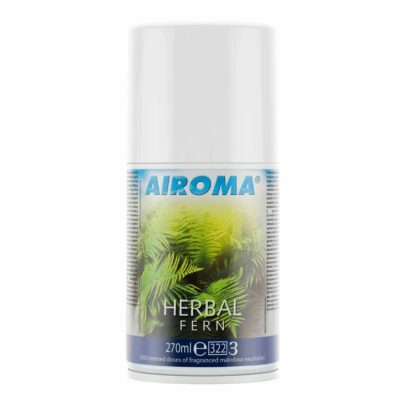 Part of the MVP range, the Airoma® MVP dispenser is an automatic air freshener designed to provide facilities with regular small bursts of fragrance. Fully programmable dispenser. 'Quick' button allows for 30/45/60 days use, 24/7. 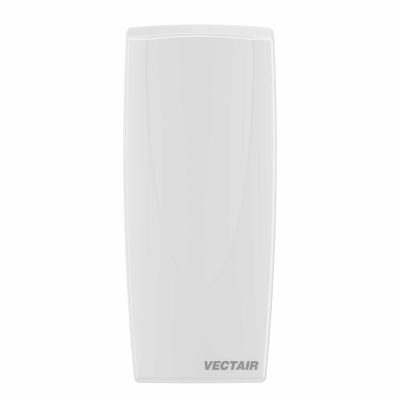 Patented features - automatic reset button & I.P.E.™ - enables a period per day of enhanced fragrance. 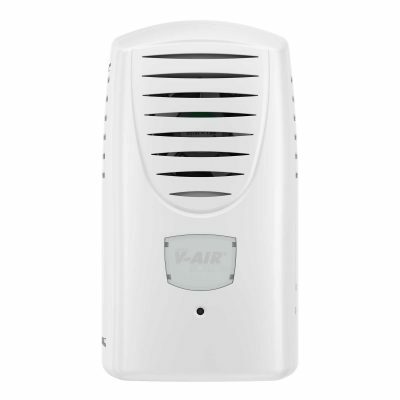 Effective in room sizes up to 200m³. Part of the MVP Range of Dispensers. 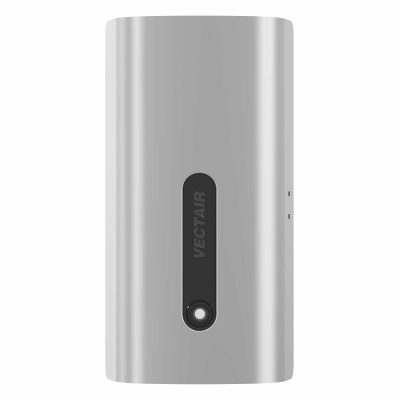 Operation: Operates on two low cost "C" cell batteries, with up to three year battery life. 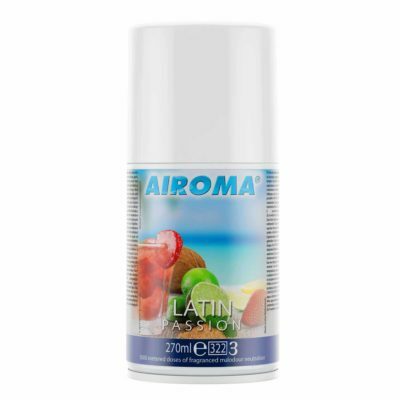 Capacity: 3000 metered sprays per fragrance refill (270ml refills). Programmable settings: Choice of number of refills per year; 6, 8, or 12 hour operation; choice of start & end time; days off selection feature; choice of days in use (5, 6, or 7). 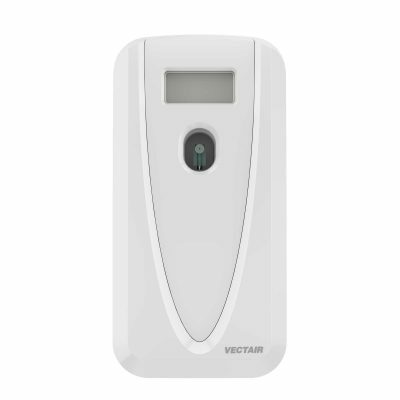 Patented automatic reset button: Automatically resets microchip back to 3,000 sprays when a fragrance refill is replaced. 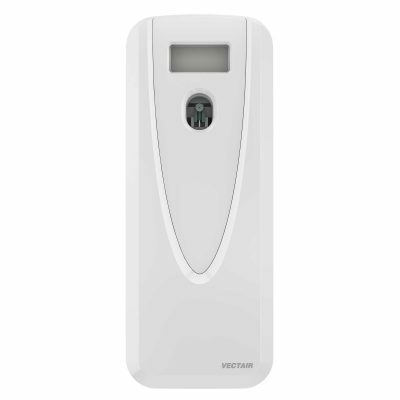 Smart chip technology: Automatically calculates days in use and refill life. Other features: Visible countdown clock showing time until next spray. 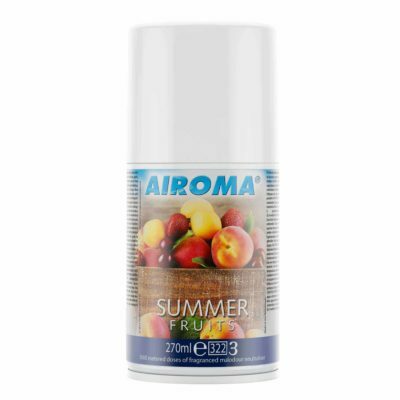 This seasonal and enchanting fragrance blends peach with sweet summer berries, for an uplifting taste of summer. 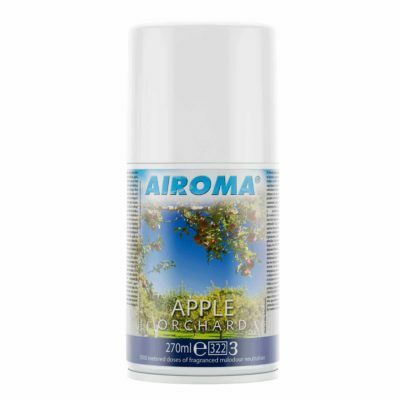 Availability Available in EMEA (Aerosols). This fruity cocktail starts with a burst of citrus peel and juicy berries, opening the way to a lively lime with vanilla ice cream, and departing with a punch of peach and mango musk. Availability Available (Aerosols, V-Air® SOLID, V-Air® SOLID Plus, VIBE®, Urinal Screens). 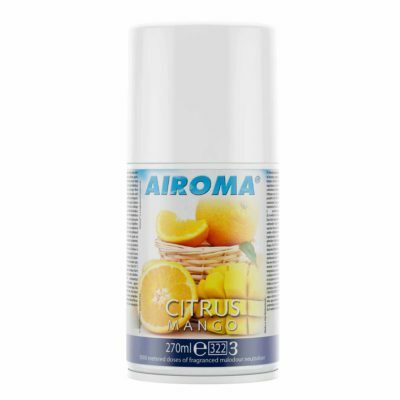 A vibrant, citrus essence with fruity mandarin & sharp juicy zests of grapefruit intertwine with lemon, orange & an edible apple accord. 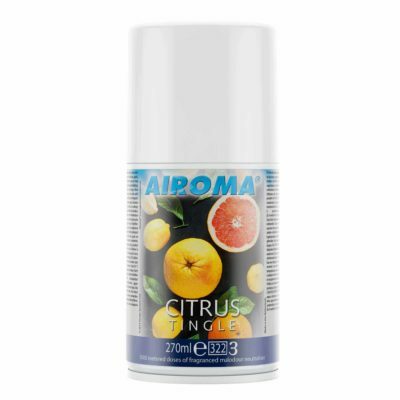 A bright, fresh and tingly burst of citrus fruits. 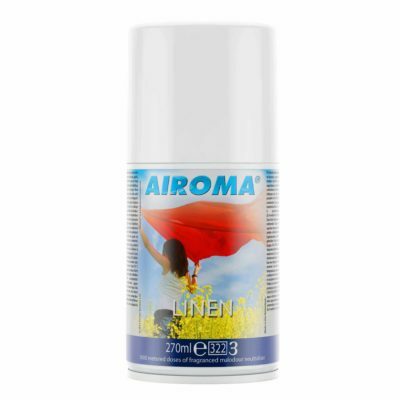 Availability Available in EMEA (Aerosols & Dosing refills). Your senses embark on an indulgent journey of taut apple, leading into spicy rich aromas of clove, cinnamon and nutmeg, with a touch of velvety vanilla. 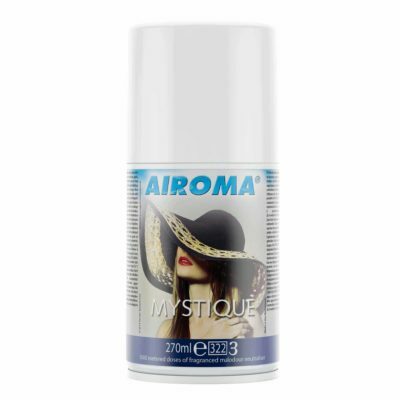 Availability Available (Aerosols, V-Air® SOLID, VIBE®). A rich, purifying scent of eucalyptus- think tea tree mixed with potpourri. 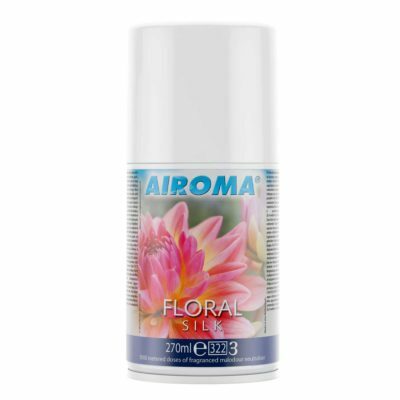 A flowery array of carnations and roses, with a hint of musk. 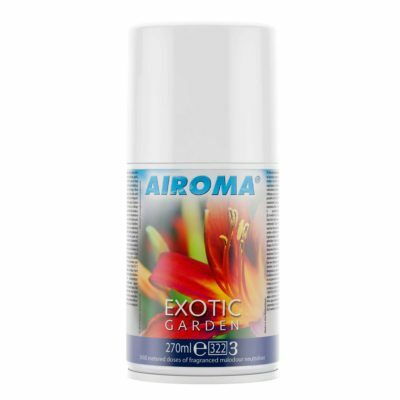 A fragrant, intense hit of exotic flowers and herbs. A perfume of rich spices and woody notes, powerful yet feminine. A unique, invigorating fusion of cedar wood and jasmine leads to a glorious base of sandalwood, oak moss, amber and velvety musk. 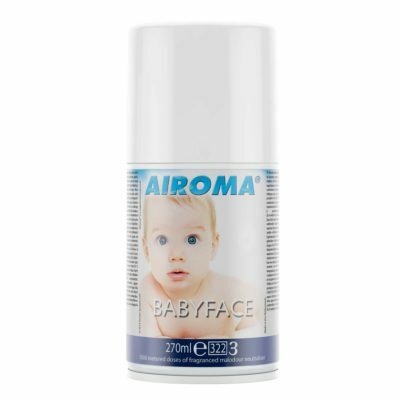 A powdery, fresh fragrance which evokes bouncing babies and peachy skins. Revitalise your senses and your environment with a modern fragrance of clean linen. Think male aftershave mixed with sandalwood and leather with a touch of citrus. Let us help you choose the product that fits your needs. You can choose to view the North American version of the site or remain on the EMEA version by choosing one of the options below. Please note we aim to call within 24hrs. We are open 9am - 6pm weekdays.